Despite their ubiquity, relatively few bacteriophages have been characterized. 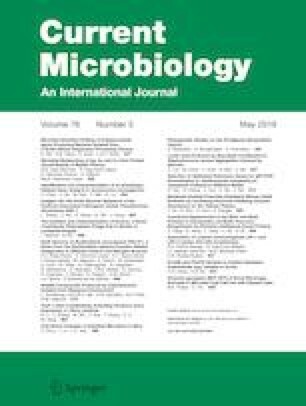 Here, we set out to explore Caulobacter bacteriophages (caulophages) in the rhizosphere and characterized Kronos, the first caulophage isolated from the rhizosphere. Kronos is a member of the Siphoviridae family since it has a long flexible tail. In addition, an analysis of the Kronos genome indicated that many of the predicted proteins were distantly related to those of bacteriophages in the lambdoid family. Consistent with this observation, we were able to demonstrate the presence of cos sites that are similar to those found at the ends of lambdoid phage genomes. Moreover, Kronos displayed a relatively rare head and tail morphology compared to other caulophages but was similar to that of the lambdoid phages. Taken together, these data indicate that Kronos is distantly related to lambdoid phages and may represent a new Siphoviridae genus. The online version of this article ( https://doi.org/10.1007/s00284-019-01656-1) contains supplementary material, which is available to authorized users. This work was funded in part by National Institutes of Health Grant GM076277 to BE.